(from Wikipedia, the free encyclopedia) The Rekord name evolved into the main name of the model; at first the name was used in close relationship with the Opel Olympia name, which pre-dated the Rekord but was also re-instated in a separate model in 1967. The various generations are described here with the manufacturer's, or other commonly used designations such as "Rekord P I" or "Rekord B". The car was not marketed with these additional appellations. With 1,276,681 units built, the Rekord C was the most successful Rekord so far. The car proved to be a solid hit with the public: it was reliable, roomy and pleasant to look at with its coke-bottle line. The range consisted of the two- and four-door saloon, two- and (new) four-door estate, delivery van, and two-door hardtop coupé with 1500, 1700, 1700 S, 1900 S fours or (until 1968) a 2200 six. Very short-lived (1967 only) was a special taxi version on a longer wheelbase (113 inch) with division, that sold for DM 9,950; with it, Opel tried to get a foothold in the German taxi market, then (as now) dominated by Mercedes-Benz. Again, Karl Deutsch of Cologne offered a convertible version in limited numbers. There existed several variations of the Rekord C, as well as version made under different names in different countries. A variation on the Rekord C was the Rekord Sprint coupé (1967–71) with driving lights, sport steel wheels, sport stripes and a sporty interior; the Sprint received exclusively the so-called 1900 H engine with two double-barrel carburettors, good for 106 hp (DIN) and 108 mph (174 km/h). The former Rekord L-6 was replaced by the new Commodore A, a slightly disguised and better-equipped Rekord C available as two- and four-door sedan and hardtop coupé with six cylinder engines only. 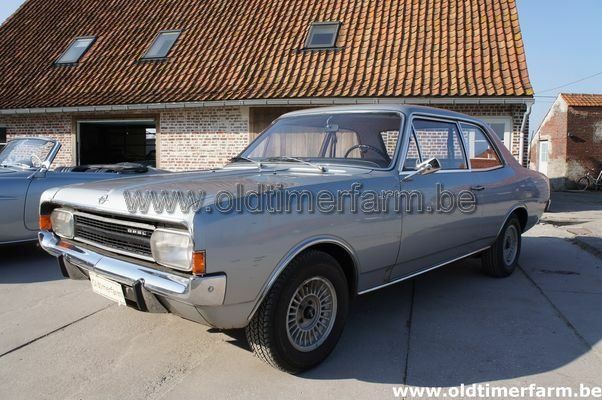 It was during the life of this model (in fact 1967–70) that the Opel Olympia name was revived, but in a separate, smaller car which was based on the period Opel Kadett. 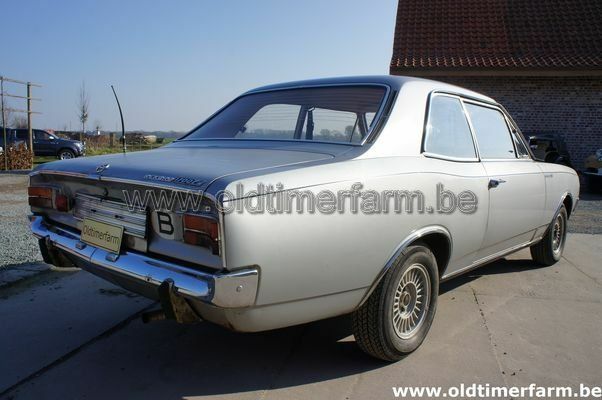 Due to the launch of the smaller Ascona in September 1970, the Rekord was marketed as an executive car rather than a large family car. Specifications. Body : length/width/height/wheelbase – cm (in) : 455/176/146/267 (179/69.2/57.4/105); weight : 1045 kg (2306 lb). Engine : front 4 cylinders in line 1698 cc (104 ci), manual 4 speed gearbox, rear-wheel drive. Maximum power : 75 bhp @ 5200 rpm. Top speed : 150 km/h (93 mph).